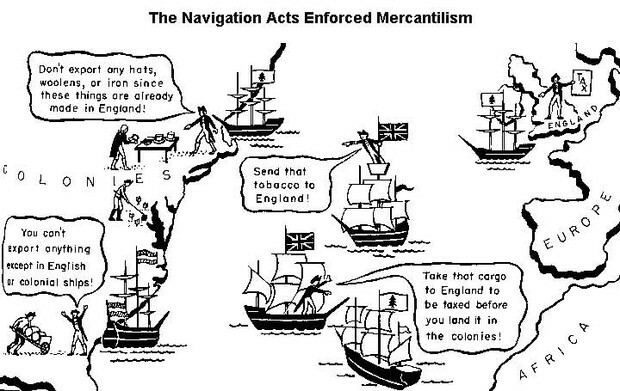 The Parliment put together the Navigation Acts to start mercantilism in the colonies. They wanted to restrict the colonies to trading with England only, their goods could only travel on English or colonial ships. The Navigation Acts was put together in 1650. This act created tension between the colonies and the mother country. 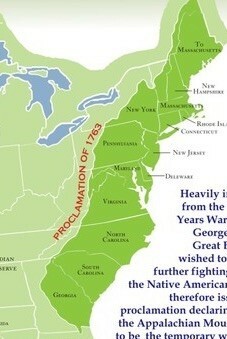 In 1763 the French and Indian War ended which caused the creation of the Proclomation of 1763. The proclamation was created by King George III and it limited the colonists to only settle on the land west of the Appalccian Mountains to save money. The colonists were extremely angry about this because they won this land in a war they fought and now they're not allowed to settle on it. 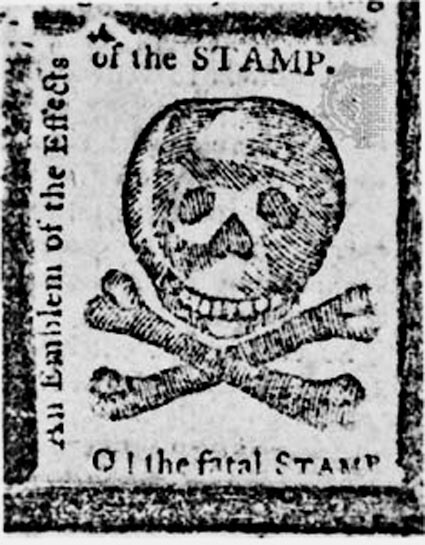 In 1765, the Stamp Act was created in the colonies to tax the colonists, anything made of paper had to have a stamp or seal that cost money. The Parliment did this to make more money to payoff the debt from the French and Indian War. This made the colonists angry and caused even more tension between the colonies and the British. Since the colonists were angry about the Stamp Act Britain sent British troops to keep the colonists in order. In 1765, the Quartering Act was created by the Parliment so that the troops would have food and shelter, the colonists had to provide these essentials to the troops in the colonies. Also the troops were sent with blank search warrants so they could search their providers homes for no reason what so ever. The search warrants gave the British the opportunity to find the smugglers. This cost the colonists money so they were even more angered with the British. In 1767, the Townshend Act was created by the Parliament in the colonies, to tax more items in order to pay for the raised military costs. The items that were taxed were glass, paper, tea, and other goods imported from Britain. The colonists boycotted these certain items sold by the British, some people made their own cloth instead of buying Britain's. All of the taxes on the items were repealed except for the tax on tea. 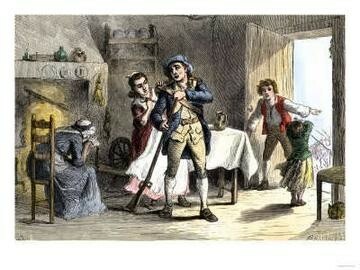 This angered the colonists eve though the their taxes were repealed. The colonists were getting angry, they boycotted and resisted the taxes. In effect of their resistance, more British Soldiers were sent to the colonies. On March 5, 1770 a group of angered colonists were arguing with a soldier and a crowd gathered around them. When the angry mod grew bigger and louder, shots were fired. 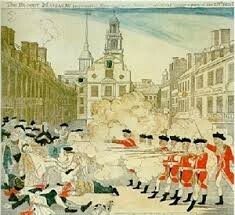 Five colonists died in the scene and later the colonists named it the Boston Massacre. In 1773, Tea Act was created by the Parliament to limit the colonies importing abilities. The British East Indies Company was the only company the colonies could import tea from. The BEIC wanted this because now the British had a monopoly over the tea in the colonies. 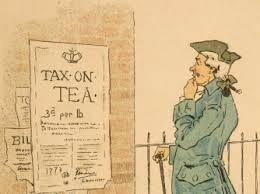 The cost of the tea was lower, but the colonists were still mad that they had to pay taxes. The Sons of Liberty was a group against the taxes and they would terrorize tax collectors, on December 16, 1773 they caused major problems in the colonies. 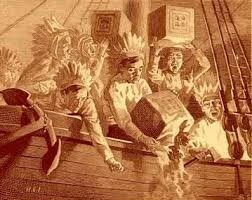 They dressed up as American Indians and sneaked onto a ship and dumped 342 crates of tea from the BEIC into the Boston Harbors. The Coercive Acts got a new name from the colonists as the Intolerable Acts because they were extremely harsh. In 1774 this act was passed to set the colonists straight after their outrageous actions at the Boston Tea Party. The laws made the Quartering Acts tougher, didn't let the colonists hold town meetings, and the colonies were not allow to trade with Britain. 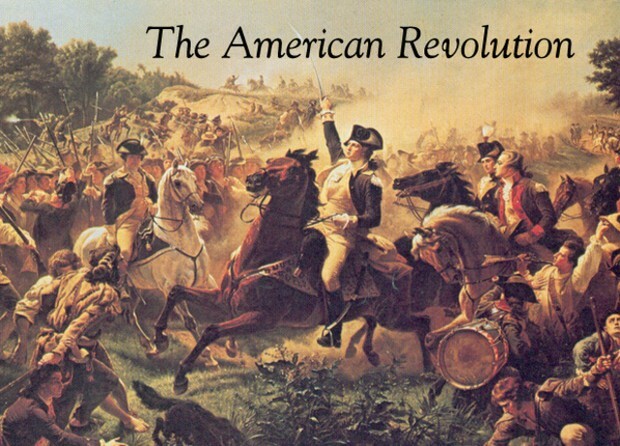 The American Revolution was a political problem between the British 13 colonies and Great Britain. The colonists disliked the policies of Great Britian and felt they were unfair. Several Acts were created to help keep the colonists in line but they just kept boycotting and ignoring the acts, some of the acts were the Navagation Act, Proclamation of 1763, Stamp Act, Quartering Act, Townshend Act, Tea Act, and Coercive Act. The colonists, in anger, caused two major events that also a cause of the American Revolution, they were the Boston Tea Party and the Boston Massacre. 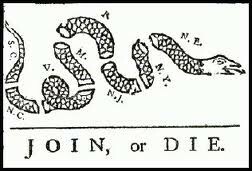 I think the colonists definatley thought they were justified for independence from Britain and I agree they were ready. They still needed Britain to trade with but other than that I think they could make it. All of the factors were causes of the American Revolution.